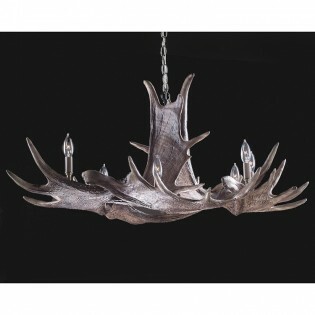 The Manitoba Faux Moose Antler Chandelier features wide moose paddles that cradle eight candle lights. This moose antler chandelier will bring a cabin touch to your dining room or breakfast area. Injection molded from real moose antlers.